Nada Yoga is a spiritual and healing system which evolved out of the Vedic tradition of ancient India. It developed alongside the more traditional hatha yoga system of postures and physical movements. 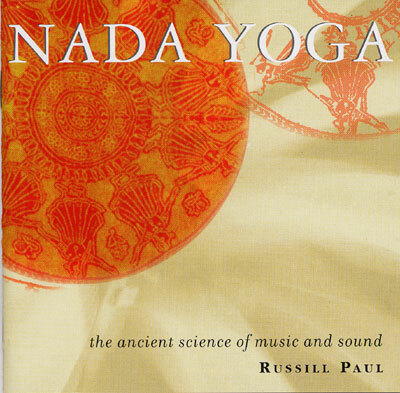 Nada Yoga is a sophisticated system developed and proven over centuries of practice. The basis of Nada Yoga is that sound and music are a subtle but very real force which can harmonize and guide the flow of energies throughout the body. The proper music can lead toward harmony, relaxation, balance and healthfulness. To create the music on this recording, Russill Paul invented his own ten-stringed hybrid instrument called a Unitar. Bansuri flute, vocal chanting, traditional Indian drums, Sarangi, Tanpura, and nature sounds enrich this uniquely ethereal and spirited recording. The benefits of this recording can be experienced through background listening or through a more focused listening mediation. The enclosed guide includes optional meditations which you can use to enhance your listening experience.